I was super lucky because I got TWO baby showers - one with my girlfriends before baby Charlotte was born and one with just family after she was born. 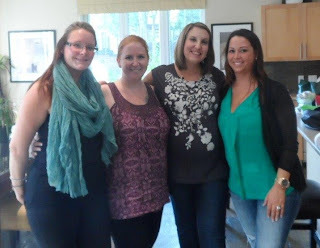 The first one was back in September and was hosted by my beautiful friend Tara. It was a Dr. Seuss themed affair and it was perfect. Charlotte and I were spoiled rotten and I am so grateful that so many of my closest friends were able to attend. As mentioned before, my pregnancy wasn't the healthiest (or most fun for me) so this was a nice way to celebrate and get ready for the next stage in my life. It really hit the nail on the head - I was going to be a mom! 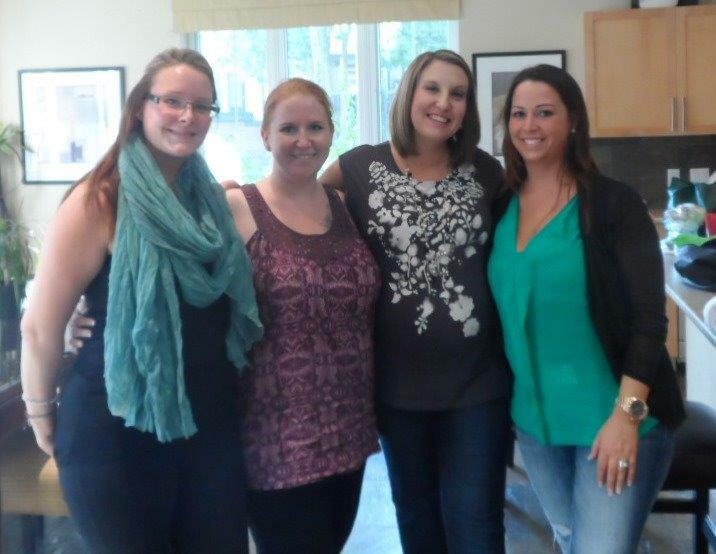 My friend Lizz, Tara (Hostess with the Mostest), pregnant me and Ms. Lisa! The second shower was hosted by my mother-in-law (with help from my mom) on November 24th. The theme was Tinkerbell and Charlotte - again - was spoiled rotten with love, gifts and cash towards her next car seat.